Bondi Beach has come a long way recently. Gone are the days of tacky tourist shops and kebab stores. 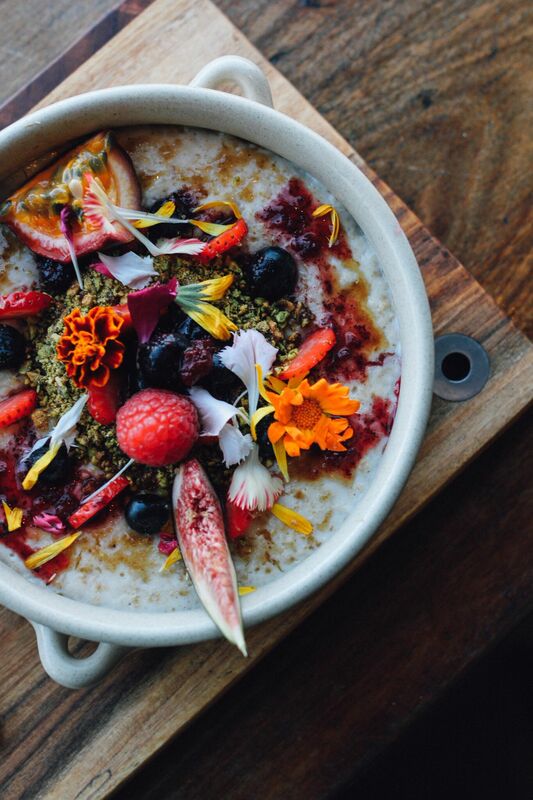 Now there’s a great range of hip breakfast cafes on offer, leaving locals spoilt for choice. 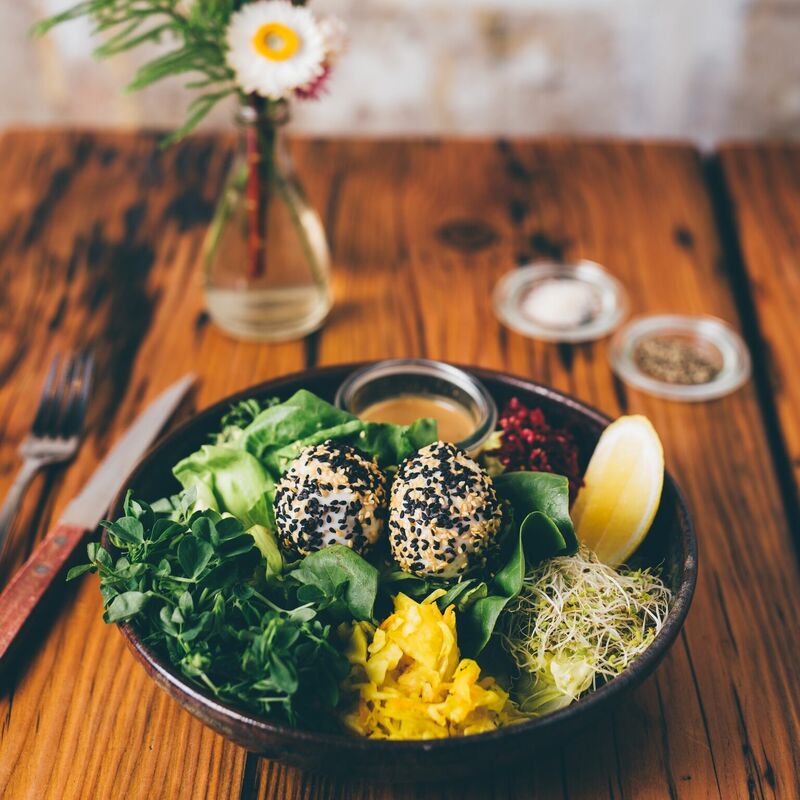 Whether you’re looking for a big breakfast to set yourself up for a big day sun soaking on the beach, or a lighter option after some morning yoga, here’s a guide to the best cafes for breakfast in Bondi Beach. 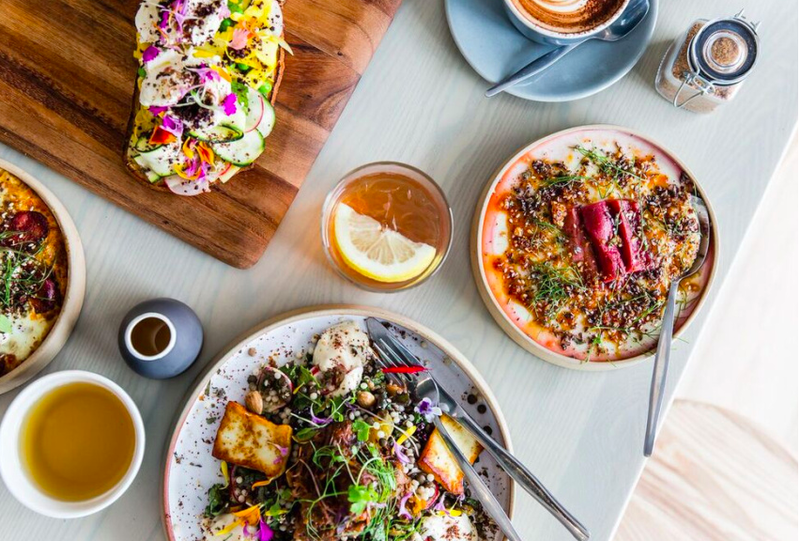 The new comer to the Bondi Beach brunch scene is The Nine (a cafe/wine bar), which is already developing a loyal following amongst brunch enthusiasts. Driven by their values for local organic produce, innovation and sustainability the team serves up some of the most delicious breakfast dishes in town (with a Mediteranean twist). Think a coconut quinoa porridge generously topped with rhubarb, pomegranate and coconut crumbs or the super hearty slow cooked lamb and tabbouleh salad with smoked baba ganoush, tzatziki and dukkah. I’m getting hungry just thinking about it. The team are also proud work to with ETICO, which collect all of their glass bottles and cut them. Another example of their commitment to sustainability. As far as locations go, Speedo’s Café on Bondi’s trendy north side is the best of the best. Just a stone’s throw from the beach, the views at Speedo’s are spectacular, and so is the food! On the menu there’s a great range of classic and inventive breakfast options like the pink pittaya bowl, protein power (with a whopping six scrambled egg whites) and the big breaky. One of the crowd favourites is their legendary Triple Stack Pancakes teamed with berry, banana, pistcahio crumble and coconut sugar. In a hurry? They also have plenty of takeaway options. Just make sure you get there early to avoid the queue. Just down the road from Speedo’s Café, is local favourite the “Porch,” aka Porch and Parlour. The café has a Mediterranean beach house feel, perfect for a mid morning brunch. At Porch it’s all about local, seasonal produce. Health conscious breakfast goers will love the breakfast bowl or the green pea pancakes, or if you’re a sweet tooth, the French toast with mascarpone and fresh berries won’t disappoint. The large bay windows are perfect for soaking in that morning sunshine. Coffee is by Will and Co. 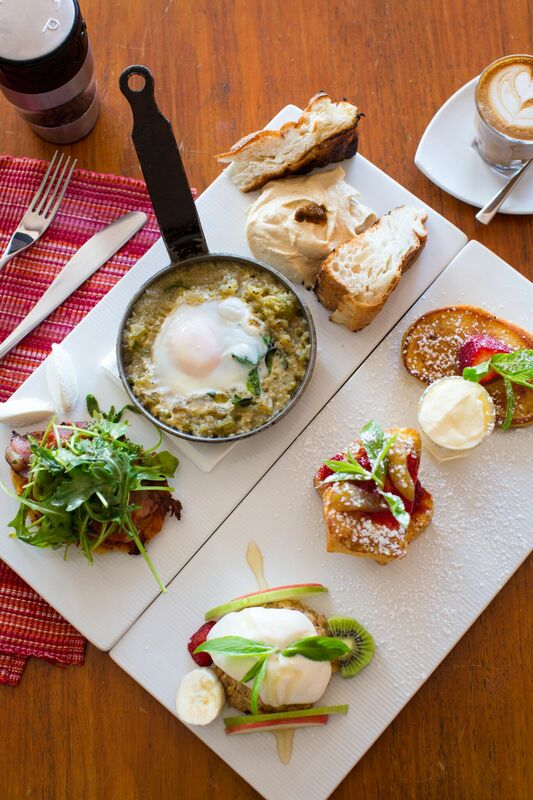 Opened in 2002, Trio is one of the stayers of the breakfast scene at Bondi Beach. Inspired by Middle Eastern and Mediterranean cuisines, the breakfast menu is full of tasty treats like nutella french toast, baked eggs and corn fritters. Don’t miss the “boss eggs” with fetta, truffle oil, avocado and san daniele prosciutto and the mediterranean breakfast teamed with poached eggs with truffle oil, char-grilled haloumi, crispy pancetta, semi-dried tomatoes, spinach and chorizo. They also have a great range of freshly roasted fair trade, rainforest alliance and organic coffee beans. And with panoramic views over Bondi Beach, what more could you want? If you’re looking for a New York style deli diner, look no further than Lox Stock and Barrel. This cozy cafe is full of charm and character, nestled in one of the last remaining old pockets of Bondi Beach. The food here is delicious without being fussy and uses the best local seasonal produce. 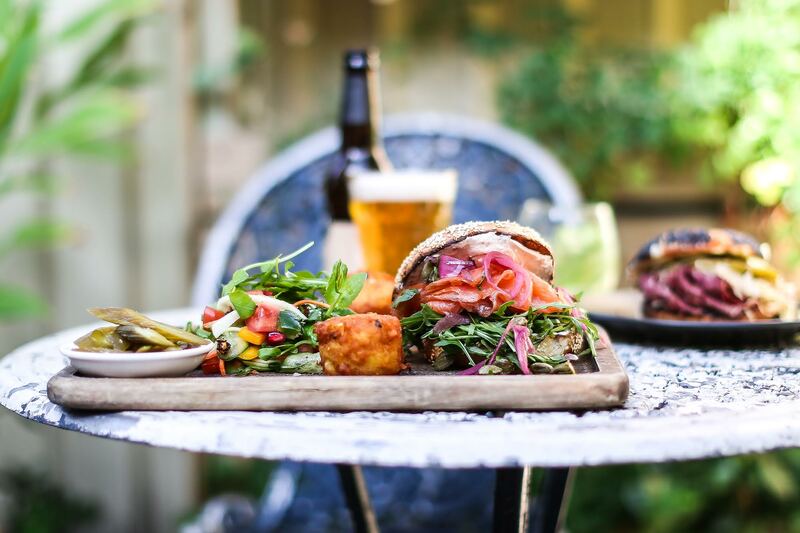 The ‘farm to plate’ driven menu is full of tasty dishes like the ‘’Lock’n’Load” (hash, smoked lox, lime and creme fraiche dill dressing) and the uber decadent Brioche French Toast with rhubarb, raspberry compote, cinnamon and vanilla ice cream. If that won’t make your tummy happy in the morning, I don’t know what else will.